For a second year running, Lip Glandfield and Emma Holter in association with the lovely people at Dymock Farm are holding a charity Barn Dance, with proceeds shared between The Mercread Youth Centre, Seaford PTA’s and us!. 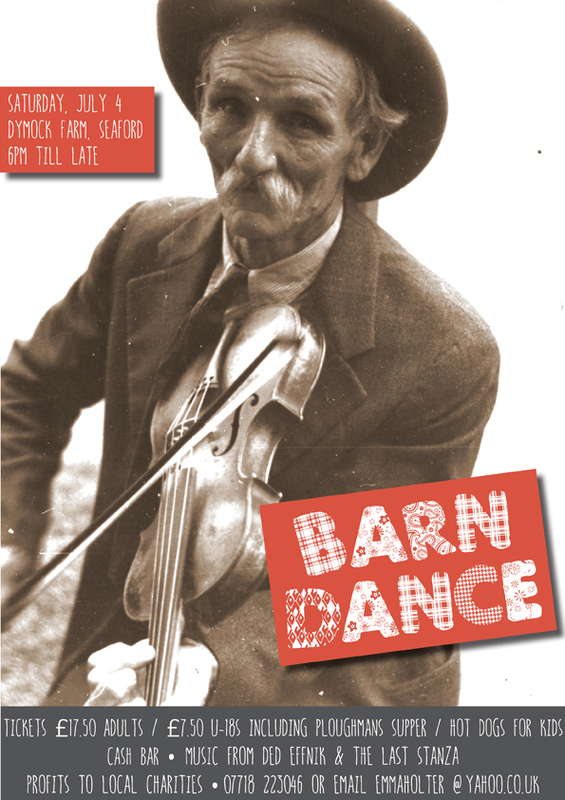 The dance was be held at Dymock Farm on the 4th July from 6pm until late. Tickets were £17.50 for adults and £7.50 for under 18’s which will included a ploughmans supper and hot dogs for the kids. There was a cash bar and music from Ded Effnick & One Night Stanza (not The Last Stanza as per the poster). The evening was even more fun than last year. The barn dance raised £1,000. Many thanks Lip and Emma.